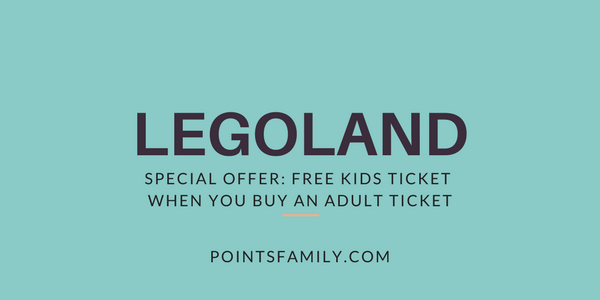 Legoland is offering a free child admission when you purchase a full price adult ticket. I’m a huge fan of discount tickets, buy one get one free tickets, and free kids tickets! Since we are headed back to Orlando this summer with our Harry Potter World discount tickets to Universal Studios, this offer for Legoland caught my eye! 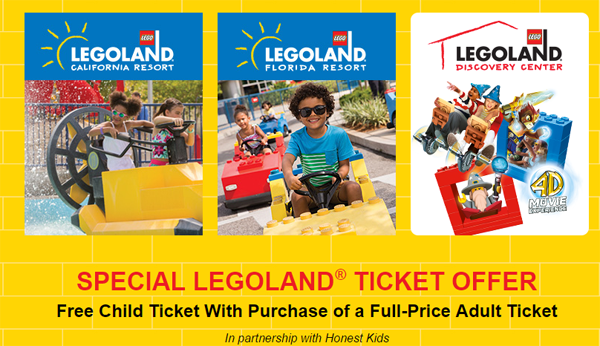 The offer is good for Legoland Florida, California, or any of the discovery centers, including the one near us in Chicago. 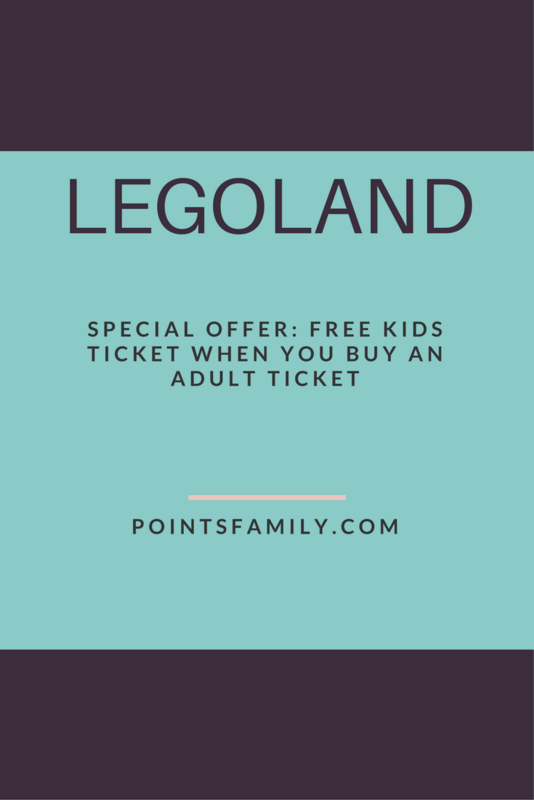 Purchase a full price Legoland adult ticket and a child ticket in the same transaction at Legoland.com. Purchase your ticket online by June 30, 2017. Tickets are valid for one (1) year from date of purchase. Only 1 KGF offer per transaction. Offer can not be applied to previously purchased tickets. Child Tickets. Children are listed as ages 3-12. 13 and up are considered adults. Ticket Booth Coupon. The paper version of the coupon expires December 31, 2017. However, since I saw the offer online I’m not sure where you obtain the coupon to take to a ticket booth. Stack with Cashback. Simply Best Coupons also offers cashback for Legoland Discovery centers. You can stack it with your purchase! Use Point Breaks. Need a hotel? The current IHG points breaks promotion has a hotel nearby!